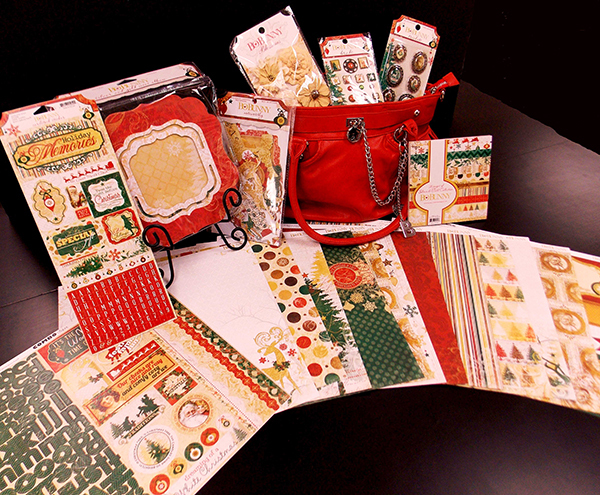 Today I have a layout on the Scrap Around the World blog, along with several of my fellow BoBunny Design Team Members. We played along with their November Mood Board and I must say it really inspired me. 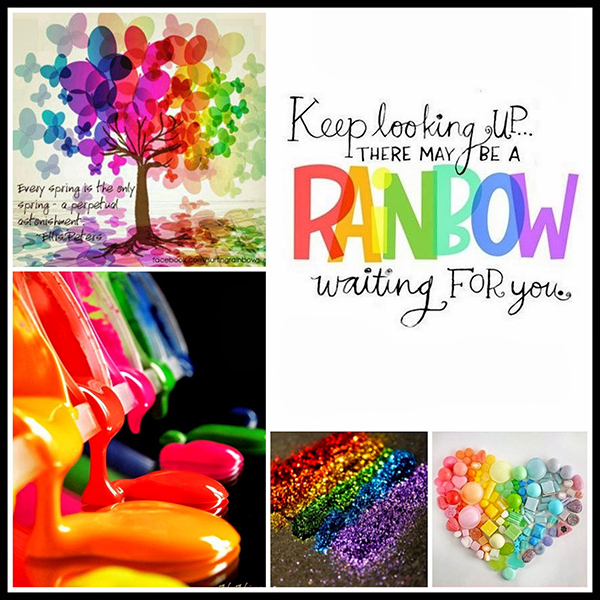 From the title I chose to how I created my background paper, I thoroughly enjoyed the colorful and upbeat rainbow theme. 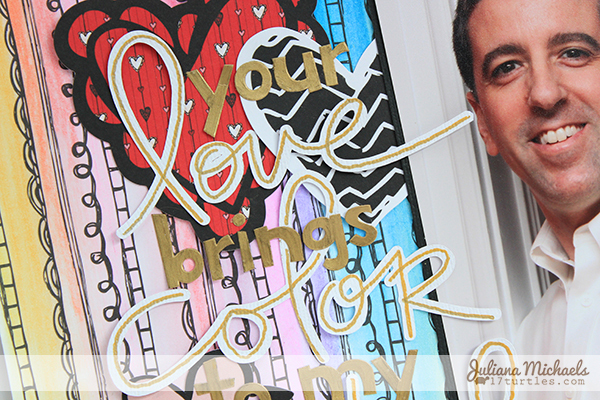 If you are interested in seeing my full layout, please hop on over to their blog! This is just a peak of my layout, but you can see what I mean about how it inspired me! I had so much fun creating the rainbow effect with water soluble wax pastels on the background. Keep reading for a brief tutorial on how to use them. I am sure you are wondering how BoBunny comes into play here. Well, they have put together an amazing prize package which includes the entire Silver & Gold collection along with one of their stylish BoBunny Bags! All you need to do is head over to the Scrap Around the World blog to learn all the details about playing along and how you could be the winner of this fabulous BoBunny prize. Water Soluble Wax Pastels provide strong, vibrant colors. They have a smooth, creamy consistency and blend easily. You can apply them dry, like a crayon or use them with water, a wet brush or a sponge to create a range of watercolor effects. For my application, I used them with a wet brush and created a wonderful watercolor result. 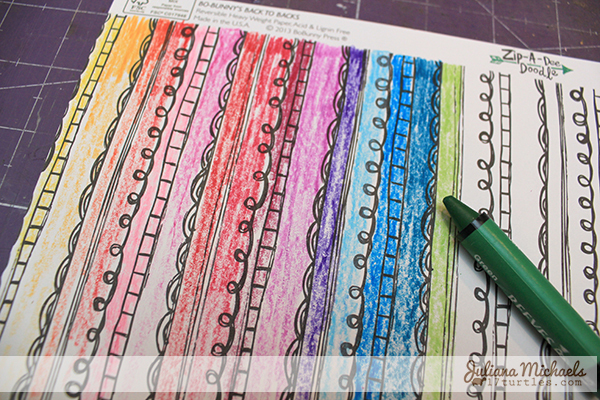 Color each stripe with one of the pastels. I applied them in the order they came in in the box, and I did not use the white, grey, browns or black ones. 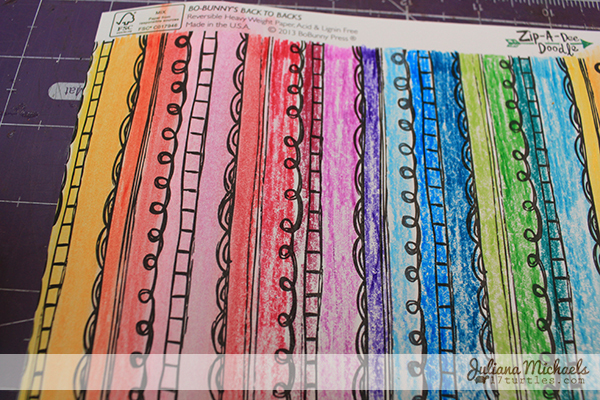 Begin by applying a lot of color at the top of the stripe and then gradually apply less as you go down the stripe. As you can see I did not color all the way down the stripe and I applied different amounts of color on each stripe. 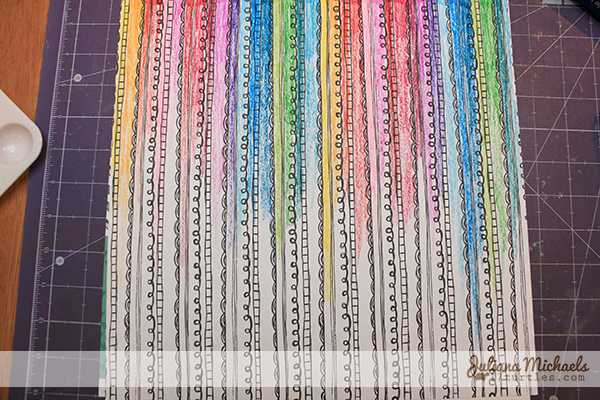 Continue adding color to each stripe until you have used all of the colors. 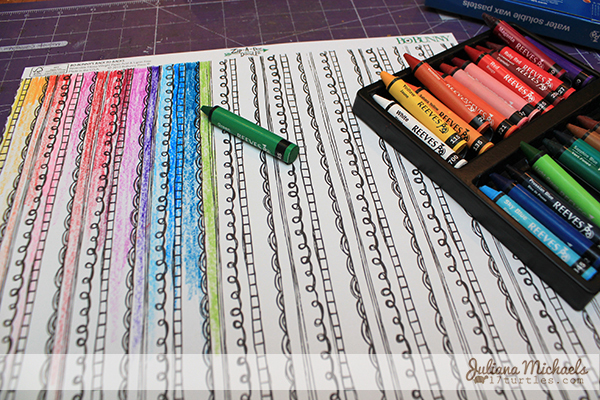 Repeat the colors until you have added color to each stripe all the way across the paper. 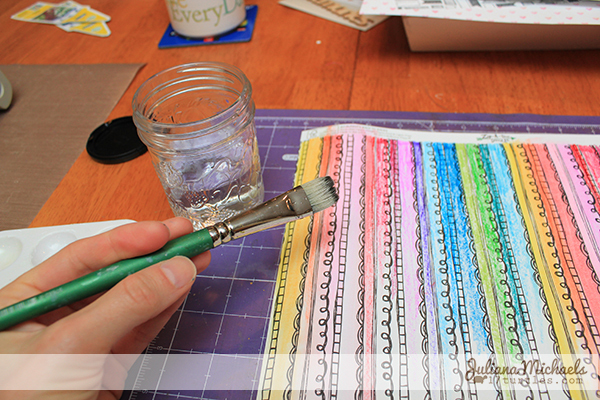 Once you have finished coloring each stripe, dip a paint brush into some water. I recommend wiping the excess water from the brush with a towel or paper towel. This will absorb some of the excess water because this paper is not made for painting and the excess water will cause the paper to wrinkle and warp even more. Next, stroke the paint brush down the stripes to blend the pastels. Continue brushing along each of the stripes until you have blended all of them. The paper will tend to be warped a little from the water. Set it to the side and allow it to dry. If you are concerned with the paper being warped or wrinkled, place some heavy books on top of it for a day or so to help flatten it after it has dried. As you can see, creating this rainbow effect with water soluble wax pastels was super easy. I would love to see your take on this technique! Thank you so much for this, am going to give it a try and learn something new. I love your blog, and am following you in all ways that I can. Wowwwwwwww! I am LOVING the effect you created!! GORGEOUS!! Off to see more!!!!!! PS ... those pastels that you used? Reeves?? That's my maiden name ... how funny!!!! Thanks so much for the great tutorial. Definitely going to try this technique. Your page looks great!